Cost: $8. Tickets available through Ticketfly. 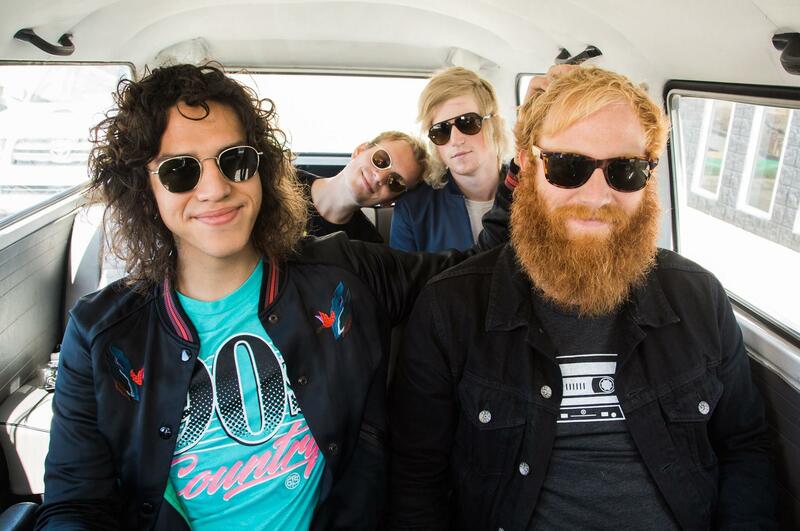 In April, the day after the band performed in La Crosse, Wisconsin, Minnesota-born rock quartet the Social Animals posted a photo on Facebook of the band’s van on the side of a snowy road, with the gear trailer turned on its side. No one was hurt and the gear was, surprisingly, not damaged, but the band is likely enjoying its current North American tour even more knowing chances of encountering snow will be very slim. To celebrate this tour, which brings the band – singer/guitarist Dedric Clark, guitarist/singer Tony Petersen, drummer Boyd Smith and bassist/vocalist Roger Whittet – to the Bartlett on Saturday, the Social Animals has released tour-exclusive merchandise. The “Whiteout” version features the EP on cream vinyl, and the “Blackout” version is on CD and features a previously unreleased demo of “Arguably Useless Rhymes,” which was recorded at Modest Mouse’s Ice Cream Party Studio. Published: June 20, 2018, 10:34 a.m.